Although Anthony "Chico" Bean has only been doing stand-up for 6 years, has compiled the experience of a well-seasoned comedian. 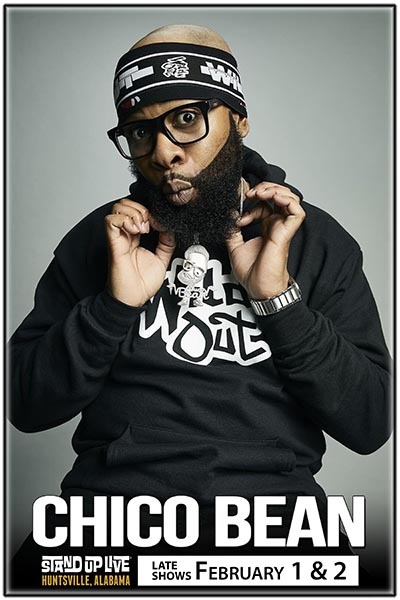 Through his budding success as an opener for Chris Wiles, Chico became a founding member of the NC Comics All-Stars as well as NC's Freestyle Funny Comedy Show. He has performed all over the country at Comedy Clubs, Colleges and Universities. Recently he just completed a run in New York City which included taking the stage at the renowned Gotham Comedy Club for the Nick Cannon CBS Fresh faces Comedy show. Chico also recently worked as a writer & actor on the upcoming E! network sketch comedy series The James Davis Project.